Pat thought that the mother of our Maria Agnes Lyons was Falvey of Tralee. 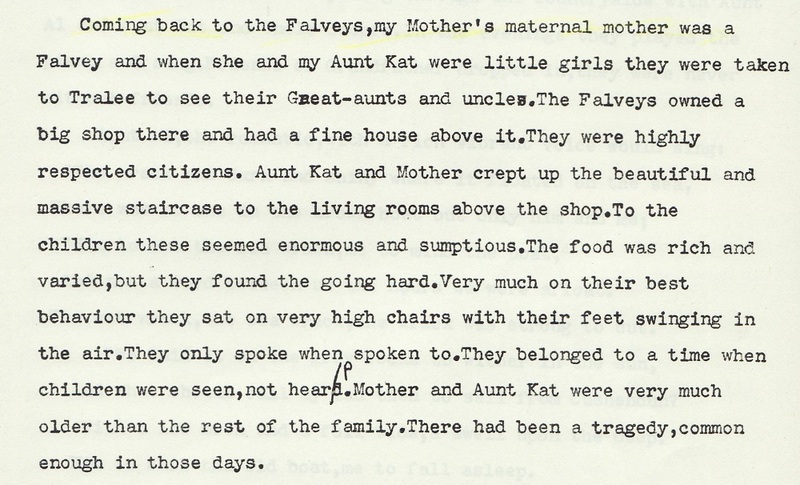 Pat said that Maria Agnes visited the Falveys in Tralee with her small children (maybe in late 1870s). 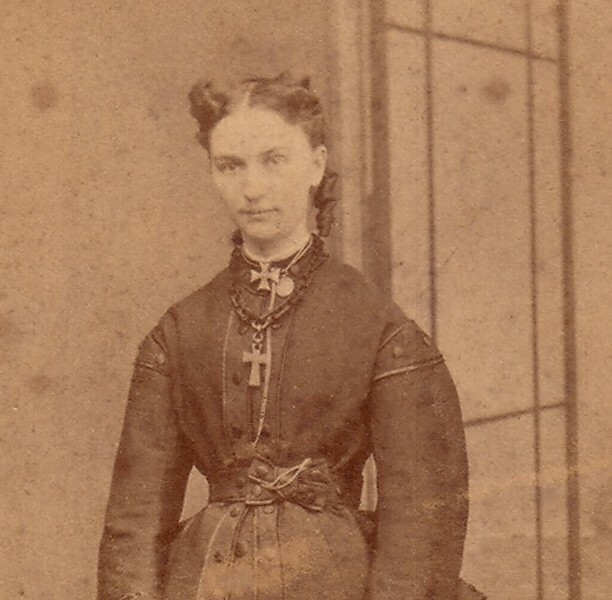 "Mary Ellen Lyons" (not yet married) sponsored the baptism of our Maria Agnes' daughter Agnes Cashel in 1870. In 1904, Dr. Francis Falvey died, and Maria Agnes' widowed husband Blennerhassett Cashel is listed as one of the chief mourners at the funeral (Maria Agnes had died in 1896). Mary Ellen Lyons is where the Falvey connection comes in, rather than being our ancestors. It was Mary Ellen that Maria Agnes went to visit in Tralee. Mary Ellen Lyons' father is Michael Lyons, son of Laurence Lyons. Maria Agnes Lyons' father is John Lyons. So they are not sisters. Probably they are 1st cousins. (i.e. Michael and John are probably brothers). Michael Lyons, son of Laurence Lyons, in fact did have a brother John, who is probably identical with our John. The somewhat confused reference to the Falveys of Tralee by Patricia Lavelle. Chief mourners at the funeral of Dr. Francis Falvey in 1904 include Blennerhassett Cashel. Falvey's wife and Cashel's wife must be 1st cousins. He and his brother Michael erected father's grave 1870. Probably identical with our John Lyons. born near Millstreet, Co.Cork [obituary]. Later a draper and T.C. in Tralee. He and his brother John erected father's grave 1870. He is father of Mary Ellen Lyons who married Dr. Francis Falvey of Tralee. There is a Laurence Lyons listed in [Griffiths Valuation, 1852] at Rathcool, Dromtarriff par, Co.Cork (near Millstreet, see old map and modern map). He is renting plot 15 from Sir George Colthurst. 39 acres and a house. This might be our Laurence. Laurence Lyons grave, Millstreet, Co.Cork. Saint Patrick's Church, Coomlogane Street, Millstreet. See street view. According to the map of graves, the Lyons grave (no.31) is at the back of the church, directly behind the centre of the back. 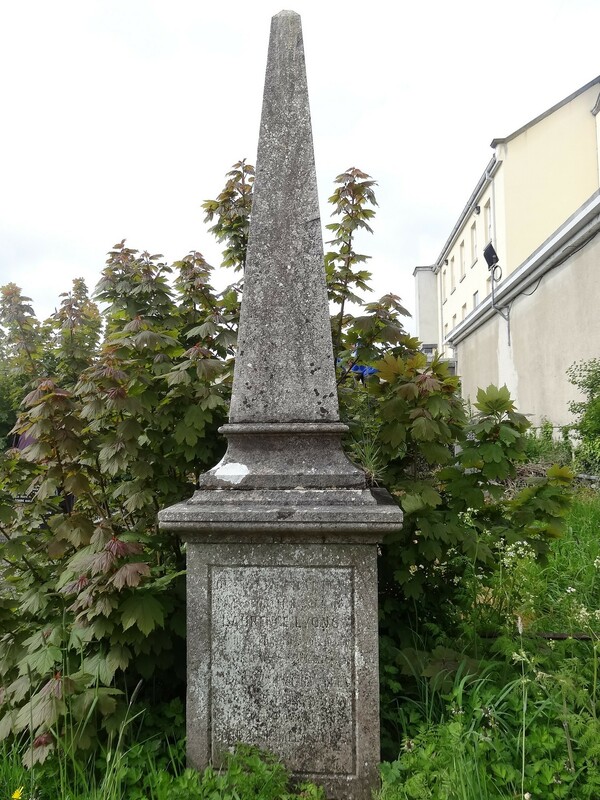 Laurence Lyons was bur here in 1870, with an inscription saying his sons John and Michael erected the grave. Michael Lyons was bur at Millstreet in 1887, "in the family burial place", though the inscription was not changed. Though originally probably of near Millstreet, Co.Cork. He is probably identical with John Lyons, son of Laurence Lyons. I had once thought he was of Tralee, Co.Kerry, but I cannot now find why I thought this, and it seems incorrect. However his brother was probably a draper of Tralee. Lyons and Co., drapers, Main St, Mallow (see map) are listed in [Directory of Cork & Munster, 1867, pp.314-316]. He is listed as John Lyons, draper, at his dau's marriage 1869 [GROI]. His dau's mar 1869 is wit by John Lyons of Mallow (would be him or a son John). 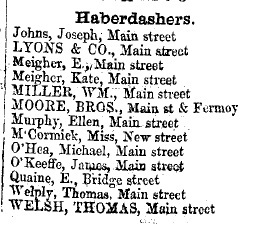 Lyons and Co., drapers, Main St, Mallow, are listed in [Slater's Directory, 1870]. At the baptism of Agnes Cashel in Mallow in 1870, the sponsor William Henry Cashel was "represented by John Lyons". It was remembered that John would sit round table after tea, and read the family Shakespeare or some other good literature. 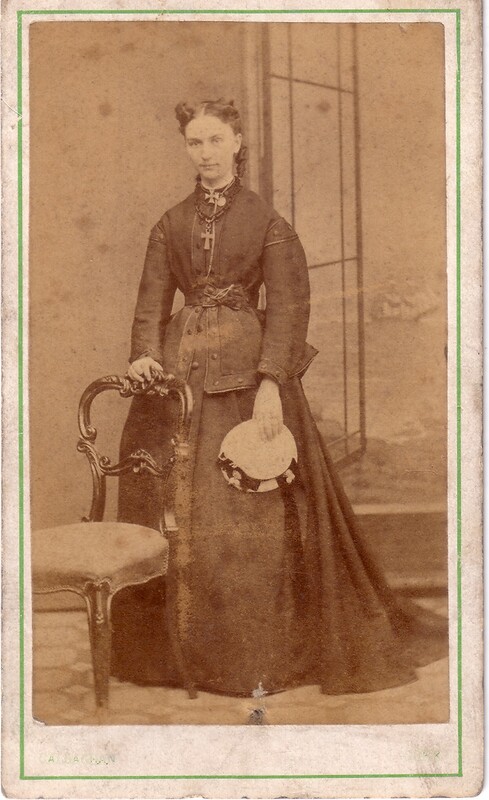 She was living Mallow, Co.Cork at mar 1869.
to Blennerhassett Cashel and had issue. Mar wit by John Lyons of Mallow and Mary Sheehy of Mallow. Lyons and Co., drapers, Mallow, Co.Cork, listed in [Directory of Cork & Munster, 1867]. This must be our John Lyons' business. Marriage of Maria Agnes Lyons and Blennerhassett Cashel, 30 Sept 1869 [St. Peter and Paul, Cork]. See other copy. From here. Marriage of Maria Agnes Lyons and Blennerhassett Cashel in [GROI]. Rathcool is in Dromtarriff civil par and Dromtarriff RC par (records from 1832). Millstreet is in Drishane civil par and Millstreet RC par (records from 1853). Mallow is in Mallow civil par and Mallow RC par (records from 1757).